What are these tube-shaped items that arrived to Toulouse earlier this week? The "Honu", the Hawaiian green sea turtle that will decorate All Nippon Airways' first A380 in such spectacular fashion, came up as a result of a public contest (that we duly reported about back in the day! ), with thousands of people submitting their proposals. With Airbus' A380 programme under question already for quite some time (even a bit longer in this website of yours! ), it is nice to see a Japanese airline recovering the tradition of ordering very large aircraft (once upon a time high capacity wide-bodied airliners dominated even Japan's relatively short domestic routes). The "Honu" is expected to de deployed mostly on routes between Japan and Hawaii, where is 100% guaranteed to be a sensation with planespotters from day one. 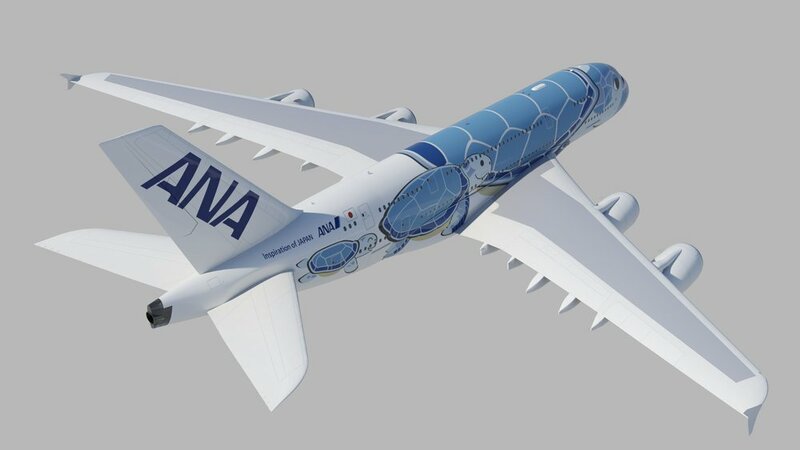 While Airbus may be keen to cling to the building of ANA's A380s as evidence of the feasibility of this programme, this fresh and original livery may not be enough to guarantee its future over the longer term if not fresh orders are coming. For the time being, the recent 36-strong order from Emirates seems to have saved the day, or, at least, bought some valuable time while the growth in global passenger numbers catches up with the A380 business case.